Poor old Ben Affleck has had a tough week. Not only did Batman vs Superman got a battering from critics (although we’re sure all the money it’s made has cushioned the blow), but a video showing Ben seemingly dying inside has become a bigger hit than the movie itself. He could probably do with some cheering up, so we delved into the musicMagpie Store to find 5 movies that will put a smile on Sad Ben Affleck (and your)’s face. Let’s kick things off with…erm, the worst film of Ben Affleck’s career. Gigli is a disaster of epic proportions, from Affleck’s dodgy bowling shirts to his complete lack of chemistry with then fiancée Jennifer Lopez (we really hope that “gobble, gobble” line wasn’t based on their real-life bedroom experiences). It’s offensive, stupid and often ridiculous but it’s weirdly fascinating. You can’t pull yourself away, even though you know it’s awful. We recommend watching it at least once, then giving it to someone you really hate for their birthday. 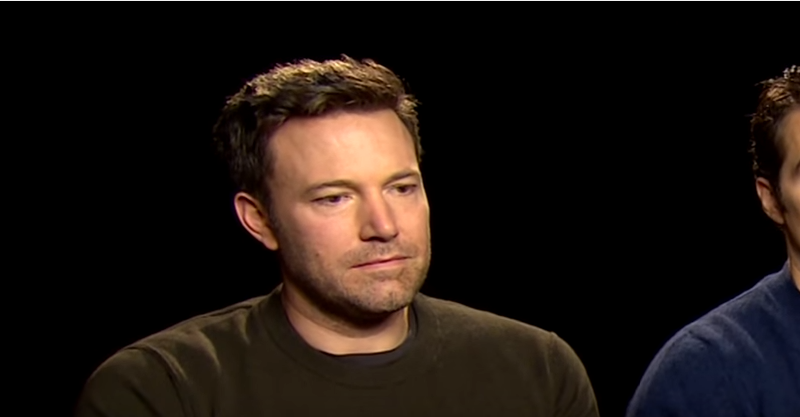 But anyway, the point is that no matter what Ben Affleck does, it will never ever be as bad as Gigli. That’s a positive, right? Most 25 year olds are busy worrying about which Instagram filter to use or what they want for lunch. 25 year old Ben Affleck was busy writing Oscar-winning screenplays. Good Will Hunting was Ben and his best buddy Matt Damon’s big break in Hollywood. After selling the screenplay, they took the bold step of demanding to star in the film too, a move that almost cost them the movie completely. Luckily, Harvey Weinstein agreed to let the two be in the film and now Ben gets to dress up as Batman for a living. If that isn’t a reason to be cheerful, we don’t know what is. Although he’s not actually in it, Gone Baby Gone kickstarted what future generations will know as the Benaissance. His first directorial effort, Affleck crafted a suspenseful and ultra-tense noir in which a young private investigator uncovers a conspiracy following the disappearance of a young girl. Affleck’s second directorial job proved that he was more than a flash in a pan. The Town is a brilliant crime thriller in which a bank robber (played by Affleck, now confident enough to cast himself) who faces some serious moral and career dilemmas. The robbery scenes are expertly constructed and it has a great cast too, with Jeremy Renner, Rebecca Hall, Pete Postelthwaite and Jon Hamm all taking on major roles. Another reason to smile, eh Ben?! How can you be sad when you’ve got two Oscars sitting on your mantelpiece? Argo sees a CIA agent cooking up a unique plan involving terrible sci-fi and Bryan Cranston to save American hostages in Iran. Naturally, Affleck cast himself as the super intelligent and crafty CIA agent. It took home Best Picture in 2013, an accolade that can only really be topped by getting cast as Batman. You can check out all of the movies in this post, as well as 1000s of other DVDs, CDs and Games from just £1.19, at the musicMagpie Store. Just click below to check it out!